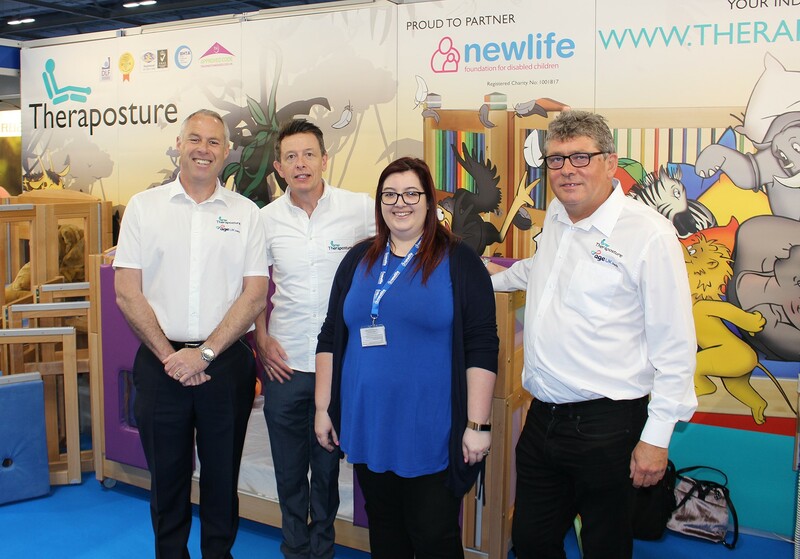 Theraposture, the trusted supplier of the adjustable modular Mascot cot system for disabled children, welcomed a healthy number of visitors to its exhibition stand at Kidz-to-Adultz South – being held in Farnborough for the first time. Debuting at Farnborough International Exhibition & Conference Centre, Kidz South provided the opportunity for young people with disabilities, families and healthcare professionals to see the latest in assistive products and services. This modern and accessible venue delivered a fresh experience and attracted new visitors who had not previously attended a Kidz event. The Trusted Assessors from Theraposture were able to demonstrate their quality adjustable bed and care cot range to a new audience who were seeking proven and safe sleeping solutions. The Mascot Mk2 with its truly future-proofed design, proved to be very popular as it provides a cot that can change as user needs change. For example, it is the only flexible cot design that be changed from 4-door (1 side opening) to 8-door opening (both sides) – hence care and safety can be maintained with one purchase, irrespective of changing needs. This is why the Mascot MK2 is the considered choice as it represents outstanding value for money. Theraposture were supported once more on their stand by a representative from their partnering charity – Newlife, The Charity for Disabled Children. Theraposture work very closely with the charity to provide Newlife’s Emergency Equipment Loans service – helping children at risk of serious injury and those in urgent need due to life threatening/limiting conditions. Theraposture supplies, delivers, installs, maintains and collects its assistive products on behalf of Newlife. This service is FREE and often results in a solution being in place within 72 hours. Theraposture will be exhibiting next at: Kidz-to-Adultz Wales and West, 5th July 2018, Thornbury Leisure Centre, Bristol. BS35 3JB. Stand A20.